We are delighted to welcome you to our homepage. Who we are, what we do, and why we are the right choice for you – these are the things we want to convince you of through our online presence. Please come in, “we're going to Fechner”! 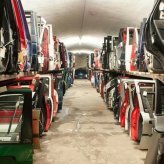 With over 350,000 car components catalogued and recorded in our computer system, our warehouse is truly unique. 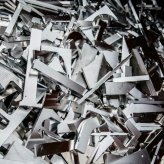 We buy different kinds of scrap metals: from small quantities up to 1000 tonnes. Timely and efficient repairs help you save costs. From customer service to the Technical Supervisory Association (TÜV) or emissions tests.